With a large selection of DCC systems on the market to choose from, trying to determine which single system is the “Best” is the wrong approach – The most important Question should be: “Which system is best for Me” – with the answer pretty much depending on Your Needs & Your Budget . Keep in mind that even a “DCC starter set” is a huge improvement and major technological step away from DC and will get you driving multiple trains with minimal fuss. Ultimately you may decide on one of the recommended high-end DCC systems that have been found to be supported, stable, compliant and worth the investment. While this Article may seem a bit winded, keep in mind that what may only take a moment to explain to someone in a conversation, quickly becomes a different beast when put to paper.. Choosing a DCC System should be no more difficult than buying a car (which for some people may be an impulsive action, while others will take time to research, compare and re-think..) Think of this like You were going to buy a car – many people lean toward one brand or another, or buy according to a specific budget, while others buy according to recommendations or even just because of clever marketing hype- the same happens when choosing a DCC system. Making a decision on which DCC system starts with your budget and your needs, but should also include such things as compatibility (if this was a car – you would decide on petrol or diesel or perhaps a hybrid), expandability (tow bar or nudge bar?) and usability (easy to reach controls and electric windows?) .. but ultimately you also need to consider how the system is it going to be used (on road, off-road, or just parked in the garage to show off..). A system designed for a single user has vastly limited features than what would be required to operate a club layout! A word of caution – In model railways, a High Price tag does not necessarily equate to High Quality/Best Features/Best Functionality or even a great user experience! But then too, budget/low-cost usually means less and/or cheaper components.. There are many factors that influence the price tag, and these are not always related to the actual product- Market dynamics, R&D costs spiralling out of control, Product Recalls, Exchange rate fluctuations and even a lack of direction by the Management Team, are but a few factors that play a role. Besides the direct and upfront cost any system, you should also think about future expansion of your layout and what this may mean in terms of the Total Cost of Ownership of your chosen system. Remember that the upfront Cost (the purchase price of your initial system) may not reflect the true cost, and ultimately the Total Cost of Ownership would include additional and even some hidden costs, such as the learning curve a new system (you may end up making costly calls or return visits to get the system figured out), support calls, repair costs, or even the cost of having to switch to an alternate system at a later stage – just to name a few. Also keep in mind that cost for many people is not necessarily the Primary decision maker (Yes, there are many modellers that have very deep pockets, and yet others that don’t have the means but who view their choice of DCC system as an investment). Another key factor to keep in mind – as an example of what you should consider- relates to the incompatibility between different DCC manufacturers products and how this may affect you later on. Not wanting to scare or confuse you, but perhaps just to point out that while all DCC systems should operate with any manufacturers decoders, you may find that while a particular DCC system does not support all DCC function! the good news is that your DCC locomotive should still run (even if without some sounds).. Regardless of the system you buy, if the decoder is NMRA compliant, it should work with any DCC (compliant) system. Read this article on the various control and Feedback Bus Systems , and you will quickly realize why inter-operability is always going to be a major issue. Originally, a few function keys were all you desired / needed, but as technology progresses, more and more features become available, and even more features are demanded by end-users..an endless spiral of desire! Sound is a good example of how one feature can have a huge impact on your decision – It’s simple – The more sounds you want- the more function keys you require! If you intend using sound, you probably should look at a system that, at a minimum offers 5-10 function buttons (F0 to F8 is typically the minimum number of function keys recommended for sound control). Most recent DCC sound decoders have added many new sounds and increased the number of function keys used to activate these new sounds. While most high-end systems now feature function keys F0 thru F12, some systems have F0 thru F19 available. Check the number of function keys you will need. Programming on the Main ? Too few or too many keys ? While some modellers are intimidated by all the keys on some of the handheld cabs, these same people often have no trouble operating a TV remote (with about the same or even more number of keys)- Don’t agonize over it – once you start operating a DCC system you will find that only a few keys are used for locomotive and accessory control. Just like the TV remote, you only end up using a few keys. 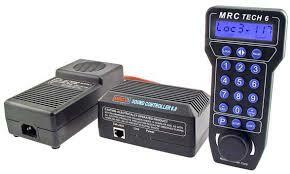 Wireless cab and throttles have become popular and allow you to walk around your layout, following your train(s), without having to worry about long cables or plugging in the controllers cord into a new control socket every few feet. How many Controllers and Boosters? 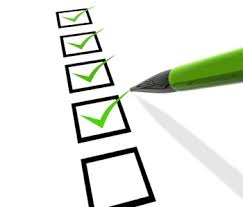 Due to my involvement in the hobby industry (including importation and distribution) I have been privileged to own, implement or at a minimum test most DCC systems available on the market. Hopefully you may benefit by this review of DCC systems that are worthy of note on either positive or negative issues, but keep in mind, these are personal comments – your experience may, at the end of the day, vary. Lenz have been a core part of the establishment of DCC standards, and as can be expected from German products, Quality and Reliability take preference over marketing and promotion. They offer an open approach to new development to ensure that Lenz will remain a “flexibly applicable” product with a wide variety of compatible “after market” or “other brand” accessories to use with it. Whilst Lenz have steadily lost ground as the most-popular DCC system over recent years and have dramatically slowed R&D due to distractions within their business, Lenz remains a solid brand and a highly recommended brand. The Lenz set 100 (V3.6 software) – mid priced with excellent feature levels, a really usable handset that does it all, and few downsides other than lack of a “knob” on the LH100 handset. The Lenz Compact and the Atlas Commander – I feel that for most they are very limited in potential, the “scrolling” needed for selection plus a very limited digital display means that the manual is needed all the time and “instinctive” use is difficult. The same comment applies to the set 90 – the spec reads fine but while the actually use of the hand controller is fine for driving loco’s, its really clumsy for function access and all programming operations. Experience shows that Lenz set 90 buyers almost always end up buying a set 100’s LH100 handset to make operations easier and both the commander and compact are inevitably destined to be replaced quickly by many purchasers! Lenz manuals… Terribly hard to understand. Tech talk is already hard for most modellers, and when German technical language is translated to English it takes several re-readings and clever interpretation to “get to the point”. This really isn’t just opinion – far more “please help” calls from Lenz owners than most other brands are received due to poorly translated manuals. One of the most popular DCC System manufacturers (world-wide) and a recognised market leader, boasting a vast array of related DCC products. Here is an article with a bit more info on Digitrax. Their willingness to add new features and test the waters with new technology. While the DT400 handset is very clever (feature wise), all its buttons are the same size and shape and that makes it confusing and is hard to use for most- even after many operating sessions owners are still confused! Digitrax manuals are famous for inclusion of techno-speak mixed with marketing hype, they can be “a very difficult read” and are often almost unintelligible until one has learned to “speak Digitrax”. The NCE “POWERCAB” is without doubt the best DCC start set ever made – all the functions of a full Powerhouse Pro system and for only half the price! It is upgradeable to a full system easily too! The extremely easy to read manual. There are still a few areas where interpreting “tech-speak” is hard, but in general a basic, logical approach and the constant help from the “plain English” programming and screen information makes NCE a pleasure to use and learn, whether the user is 7 or 70+. The fact that for all basic programming, you can forget CV’s and simply make “yes-no” decisions… DO YOU want to enable DC operation – enter for no, press one for yes? Is forward normal or reversed for this loco – enter for normal, press one for reversed… etc…… dead easy, no interpretation needed! The full “2 way radio” option, that means total wireless for all operations and programming. It works just like it is plugged in with no delay, has excellent range and can do everything without “plugging it in” to the layout. NO other brand offers such competent wireless performance. The “Owner upgradeable” main processor, NCE regularly releases updates (about every 18 months or so) and that means an NCE owner can always have the “Latest” product and functions by simply replacing the “main Brain” of the unit. NCE is a DCC system that competes with the best and is definitely worth considering as your DCC System of choice. Hornby has an established reputation for manufacturing quality locomotives, rolling stock, track and even building – however when it comes to a DCC system, Hornby is OK as a basic train set controller but is certainly not a competent base for a DCC system. Herewith a few comments on the controllers. A train-set controller at best- this is an entry-level DCC controller.This was Hornby’s first digital controller and is still soldIt has significant problems with its digital waveform and should be avoided.It is so far off specification that calling it DCC is actually incorrect!This is not just my opinion – “Model Eisenbahn” who are one of Europe’s most highly respected professional model railway magazines reviewed this product in early 2008.The comprehensive review was in German of course, but there was no mistaking its conclusion, as it was entitled in plain English “Return to Sender” Hopefully it’ll be dropped and replaced. Its initial release was greeted with positive anticipation but in its first few software versions, it had several significant problems. Giving credit where credit is due, the current versions are NMRA Compliant, and most of the quirks have been taken care of, however the basic design operating structure makes it a really difficult control system to access and use functions on, so it is to be honest simply hopeless with sound equipped locomotives. This brand had a disastrous start to its involvement with DCC and while it has gradually become better, the offering still has a very, very long way to go to before it can be recommended with any confidence. While there was a lot of excitement and anticipation for something special, around the development of Dynamis because Bachmann partnered with ESU for this product – the reality is that the product had been designed to meet a price and delivers far less than most expect! The fact it is wireless at an entry level cost, I like the fact it has full addressing ability and I like its price point, but it stops there. The fact that the infra red is affected by fluorescent tubes and it is far too directional for all but the smallest layout. For any larger or round the walls layout, it is necessary to mount repeaters for the IR sensors, or everything stops every time the handset loses contact with the base station! 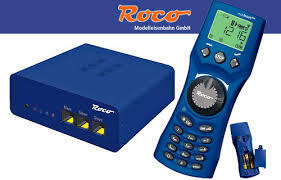 The fact that it cannot read decoder information as that is important if you want to be able to get the best from DCC. (as with the Roco Maus 2, its necessary to spend a lot more on a bigger base station to get an important basic feature such as CV read-back, and I think that is wrong). Its ergonomics and shape—very much like a “Play station” controller and needs two hands to operate. The large screen is very good and easy to read but it (and the IR transmitter) chews up batteries VERY fast! 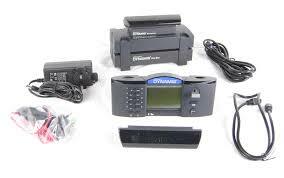 If we now add the Pro Box & IR repeater to the Dynamis.. The fact that the IR repeater, if mounted where it will give much wider coverage than the original Dynamis IR receiver, gets rid of the “dead spots” that cause layout shutdown and keep communications constant, making the wireless feature work properly for the first time. The fact that the Pro-box has not been fitted with the promised computer interface, something that is a must for a full system these days. As the cost of a the Dynamis + Pro-Box is similar or more that the cost of a full DCC system from major competitors- if you don’t already own a basic Dynamis and there is even the glimmer of a possibility that you may want some form of “added intelligence” to help you operate your layout – then it is strongly recommended that it’ll pay you to look closely at other full feature DCC systems before investing. A “train-set brand” that is widely distributed and a system that maintains sensible cross-compatibility with DCC standards. the “MAUS” – It has some redeeming features and in its new incarnation is a very much more useful device. It sounds a small thing but not being able to read back makes programming much harder especially for the novice. The fact that to get a DCC read back, you have to buy an add-on unit – its just a “crippling” of the software to add more sales for them later and it SHOULD be there in the first place! The fact that to get access to CV read-back with them… even with the new versions, you need buy yet more Roco gear to get what you should have in the first place! Good as a starter set, but limiting as a full fledged DCC system. Being NMRA compatible (thus being compatible with Lenz) makes it a cost-effective alternative starting point, with a sensible upgrade path. Zimo has established itself as one of the latest DCC market leaders, both price and feature wise. It is extremely well made and does everything it claims to do very well – which is a quite lot as it is a very sophisticated DCC system. Whilst it is clearly a quality product, it is more expensive than it needs to be. To be fair, its development costs are high compared to most as ZIMO keeps evolving new things and those costs need paying for…. But money is money to most modellers and it is expensive! Originally a really nice, somewhat special system designed in the UK, with a nice design, look and feel. Sadly, this brand has slipped further and further behind reality in the DCC world, and is now both technically far behind the pack and well and truly overpriced. ZTC closed for business, passed on its stock to a third party who attempted to keep the brand going, failed again and now yet again, its in a new set of hands who so far as can be seen, are trying hard to resurrect it – Sadly nothing seems to have been done by the new owners to improve its significant shortcomings and outdated software! With most ZTC owners grappling with DCC issues (problems that are directly related to outdated software and incompatibility with NMRA standards) – one can only say that while you have to admire their courage and we wish the new owners of the brand name well- Sorry, but “NOT AT ANY PRICE” remains the recommendation! A console type system. 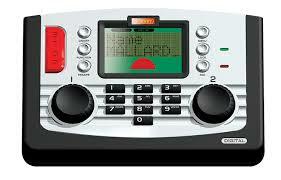 This is a very, very good looking unit with twin controllers, touch screen and many very modern features. This system keeps upgrading itself via the very convenient direct software update facility so its hard to keep pace with what it can do – definitely a system for modellers who likes hi-tech toys! The ability to connect it via Ethernet to update software via the Web. The manuals – Like Lenz, they are badly translated from German to English, and many owners have great difficulty with them. Take your time looking over ECOS and read as much about it as you can, because its far from a low cost unit and a console type system isn’t every ones best choice when going DCC. However it is a very, very clever system, and if after looking past the fancy panels and design to its real abilities and wide feature level, it clearly fits your need, then don’t hesitate – It’s a very nice product that is well supported by it manufacturer. It is interesting to note that MRC originally made DC controllers and then branched into DCC, thus having a good understanding of the DCC protocols and the technology in general – sadly their DCC system cannot compete with the other high-end systems. Nether the less this is a good DCC starter set. Early releases were less than impressive but the latest software release for this unit has made it quite a reasonable performer. The fact that while they copied the shape of the NCE controller they misread its ergonomics, so it is a 2 handed controller. With just a little more thought, this could have been avoided! Many modellers have found the MRC decoders to be unreliable, incompatible or simple not up to the job! For entry level DCC systems you have a choice of products from MRC, ROCO and HORNBY – You will probably get one of these shipped with your first starter set. Another entry level system is the Atlas Commander, which also fits into the category of “Introductory DCC system” that is perhaps best used or intended for the recreational user. Many entry level systems provides a single accessory function- therefore is not suitable to operate sound units fully. An upgrade from the entry level system, the Bachman Dynamis, ESU ECOS and also the Digitrax Zephyr offers enhanced performance. Typically these systems offer upgrades and are compatible with the high-end systems. Output power ranges from 2.5A – 5A, with 128 speed step control on most controllers. These systems typically support up to 10 operators. 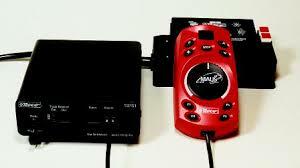 The ability to operate DCC sound and program decoders also becomes possible. The intermediate level for DCC offers great price and performance for the average user. These systems generally represent the ultimate in DCC control features and also have a wide range of complementary products and include offerings from LENZ, DIGITRAX, NCE and ZIMO. The MRC Prodigy Advance comes with a full function handheld cab. There are 20 functions available, more than any other system at this time. No booster has been announced for this system, I do expect they will add one to the line. The system can be expanded up to 99 cabs, but only the larger hammerhead type handheld is available now. The system uses an 8 wire connector for cab connections. The 8 wire connections and cables are not as easily found as the 4 and 6 wire and connectors. This is a full featured system, but the lack of a booster and only 2.5 amps power can limit the number of locomotives that can be run at one time. The Lenz Set-90 and the Set-100 Starter sets use the same command station/power station. The difference between the two is the throttle that is supplied. (See the previous page for more info. )The Set-90 has the knob control and the Set-100 the push button operation. The Lenz operates up to 31 throttles. This system can be set to respond in either German and English. Lenz has the unique wireless operation using a conventional wireless telephone as a throttle. The Digitrax Super Empire Builder and the Super Chief use the same DT400 throttle with the LocoNet. They do have a different model command station/booster. The Super Empire Builder comes with the DB150 command station and the Super Chief comes with DSC100 command station. The DB150 supports 22 throttles, the DSC100 support up to 120 throttles. The 120 throttles is the highest number of operators allowed on any DCC system. The DT400 throttle has 32 keys and two knobs. It has a custom LCD display using both icons and alphanumeric characters. There are smaller utility throttle available for operators. One limiting item on the Super Empire Builder is the lack of the program track feature. 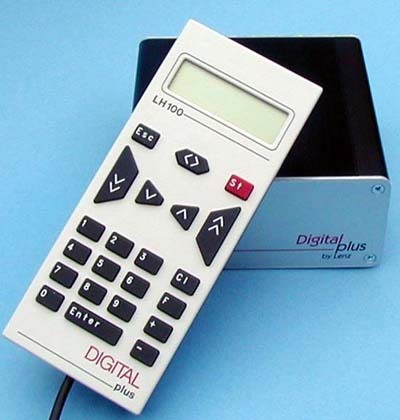 Digitrax systems can be interfaced to a personal computer through the LocoNet with an adapter. The NCE Power Pro has one basic command station that comes in two versions. One is combined with a 5 amp booster and the other is stand alone used with the 10 amp booster. The command station has a built-in serial interface for connecting a personal computer. The system can support up to 63 cabs. The NCE system has been called the user friendly system because of the information displayed on the cabs two-line display. Smaller cabs without the LCD display are available for operators. The wireless cabs uses duplex two way communication. When most people start comparing the systems, they always start with a comparison of the throttles or cabs. The newer models of the Digitrax throttles are comparable with the NCE cabs. The NCE and Digitrax systems are about comparable in price. The operational format of the NCE cabs are significantly different from the Digitrax throttles. The NCE ProCabs are larger and feature an eighteen character LCD display and about 20 operational buttons. These cabs are often described by users as dog bones, because of the shape. Ironically, the complex appearance of the cabs ultimately provides for an easy, intuitive operating format. These systems are generally comparable and they offer some specialized features not found in the intermediate systems. Use of a personal computer to work with the DCC system is becoming popular. There are a number of programs available and work with most systems that can connect to a computer. The free Decoder Pro (over the Internet) is used by many. One word of caution. Sound is contagious! Once you have run a sound equipped locomotive you will have a hard time living in the world of silent locomotives. If you would like more information on a DCC system most of the DCC system manufacturers have the system manuals available on their website. You can either view or download and print out the manual. My experience has shown that all the major systems are good systems and that the respective manufacturers are dedicated to their products and provide good product support. I also think those manufacturers are stable enough so that your investment is protected. In the end it is Your choice, and any decision needs to be based on Your needs. – it is whether your choice will do the FEW VERY IMPORTANT THINGS that YOU want it to do… that it fits with YOUR expectations and feels RIGHT in your hand! Above all: Relax and keep it fun – There really is no need to agonize about the DCC decision process – It’s what the DCC system can DO for YOU, not how long the feature list is that’s important – unnecessary features are only useless clutter. Keep in mind that when asking others what is best, they will ALWAYS recommend their own choice above all – that doesn’t make it right of course, nor does it make them wrong – it is just human nature. First and foremost, don’t worry as you go – take your time and don’t be afraid to ask questions. this is an important step but do keep in mind – Enjoy the process of thinking and talking it through and choosing your system! 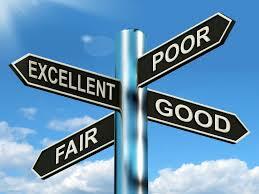 I believe the decision process can be a pleasant journey of discovery if you follow a few simple guidelines.